Did you know that kidneys are very crucial organs to the body? The role and function played by the kidney is vital to the daily normal functioning of the body. 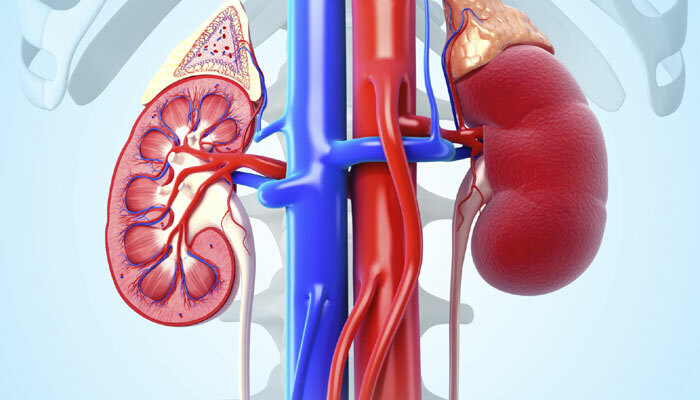 Kidneys are known to get rid of waste products in the body, balance the volume of fluids in the body, and change the blood pressure, production of red blood cells and production of active vitamin D.
Statistics show that a tentative ratio of one to nine people suffer from kidney problems while an enormous number of people are prone to getting chronic kidney illnesses. This kidney chronic disease is the principal cause of major kidney failures. The most unfortunate thing is that these chronic diseases have absolutely no cure. However, there are prevention and control mechanisms put in place to fight this chronic disease which can be quite dangerous. Supplements are the best way to prevent the effects of and control the chronic kidney problems. These supplements boost the health of the kidney. However, it can be a daunting task knowing the best supplements for your kidney health. While looking for supplements to boost the health of your kidneys consider looking for supplements rich in magnesium. Magnesium has been shown to impede crystal formation hence the risk of formation of kidney stones is curbed effectively. Ease Magnesium, a magnesium supplement to boost your kidney health contains magnesium in its most absorbable state. The supplement consists of pure water with magnesium chloride hex hydrate which is pharmaceutically produced. This magnesium supplement will also reduce the amount of urinary oxalate, a mineral salt in your blood. Triple magnesium complex also goes a long way in increasing the function of your kidneys. Supplements rich in calcium. Many misconceptions have it that reducing calcium intake reduces the risk of developing kidney stones which deters the normal functioning of the body. While that may be so, intake of the correct amount of calcium should be necessary while simultaneously reducing the intake of Oxalates. Be sure to look out for kidney supplements that are rich in calcium and low in oxalates. Maintaining a good health also means avoiding risk factors that can lead to common kidney problems. Intake of large amounts of sodium increases the risk of kidney stone formation. Thus while choosing the right supplements for your kidney, be on the lookout for the sodium content rates. Supplements rich in Vitamin B-6 are crucial to the body as this vitamin helps reduce the formation of calcium oxalate. This happens when the calcium levels and oxalate levels cannot be controlled especially during intake of natural foods rich in this nutrients. This helps keep your kidney in good health. While studying the contents of your supplement bottle, look out for chlorella. Kidneys thrive well in an alkaline environment and there’s no better source for this other than chlorella. Been known to flush out waste products found in urine, the kidney from time to time needs great assistance to complete this action. Parsley comes highly recommend due to its effectiveness in increasing urine flow. Kidney Blend SP-6 Cornsilk is yet another great kidney health supplement which goes a long way in maintaining optimal kidney function and health. This supplement like Renadyl contains parsley an important ingredient as discussed earlier which delivers chlorophyll. This helps restore the urinary tract prompting regular passing out of urine. Uva Ursi is one of the contents is used for balancing Ph. Its Arbutin properties that deliver diuretic properties are responsible for the same. Buchu, another content in this supplement acts as urine antiseptic. This property helps in easing high acid urine. This Kidney Blend SP-6 also contains magnesium phosphate3X and also vegetable cellulose. Kidney restore supplement- This is a product developed by quantum product to provide the body with key nutrients needed by the kidney to heal damaged tissues and to improve the kidneys efficiency. It goes an extra mile in helping the body to cleanse itself from toxins that accumulate in the kidney. However, we recommended that persons having undergone through kidney transplants should not use this supplements. Renadyl– This is a probiotic kidney health supplement. The kidneys usually filter out chemicals called creatinine which is created in the muscle and then disposed of through urine. Nitrogenous wastes that are usually diffused into the bowel from the bloodstream are utilized by Renadyl to create nutrients called probiotics which in turn absorb more of the nitrogenous waste hence maintaining healthy functioning of the kidney. Vitamin C- this is another supplement that goes a long way in helping reduce the formation of kidney stones. This vitamin is found in several fruits and vegetables like the oranges, carrots, and grapes. This can also be found I Vitamin C ascorbate supplements which can be found readily in the stores which go a long way in maintaining kidney health. While checking for the right supplements, we strongly advice that you check for supplements that are rich in vitamin c like the one mentioned above. L-Carnitine which is also referred to as Carnitine is an important amino acid which is helpful in converting fat into energy in the body especially in the kidneys. This nutrient is produced by the kidney, and in the event that your kidney produces this nutrient in small quantities, it may alter the normal functioning of the body. It thus very wise and important to supplement the body with this nutrients. We greatly advice that you seek a doctor’s advice before you go ahead and start using this supplements. Kundan kidney supplement is derived from herbs. This supplement is very good in aiding the kidney to cleanse the blood. A healthy kidney means a healthy functioning body. You do not have to wait for the kidney to fail so that you can start taking great care of your body. The earlier you start taking care of your kidney, the less you have to worry about having to visit the Medical Centre.